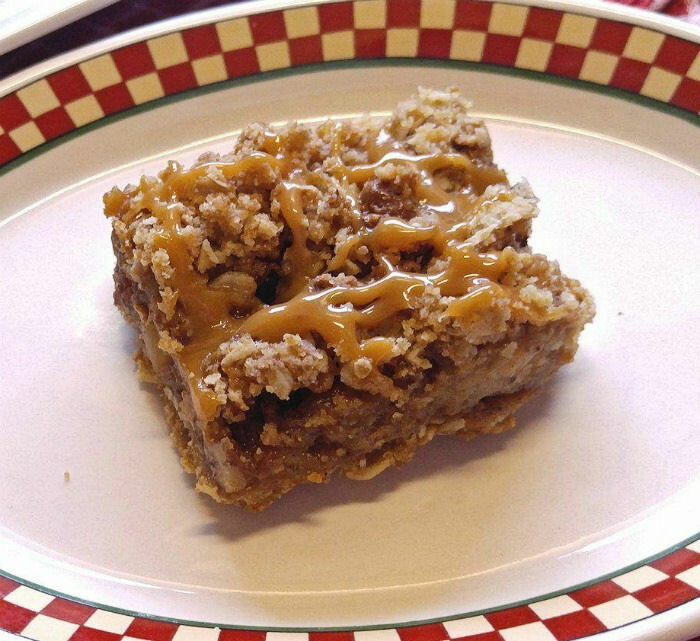 If you like the taste of caramel apples in the fall, you will love these caramel apple bars. They taste just like the traditional fall favorite but without all the fuss. 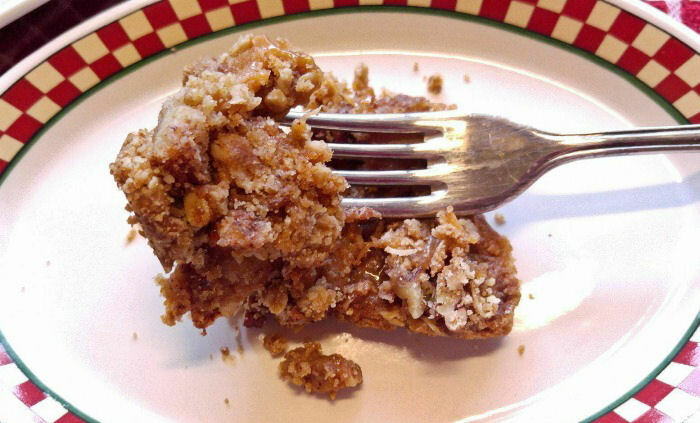 These apple oatmeal bars are sweet and hearty and so easy to prepare and are perfect for National Oatmeal Day on October 29. Bar recipes are some of my favorite desserts. They are very easy to make, my party guests love them, and most aren’t TOO bad on the calorie count. October 29 is National Oatmeal Day. 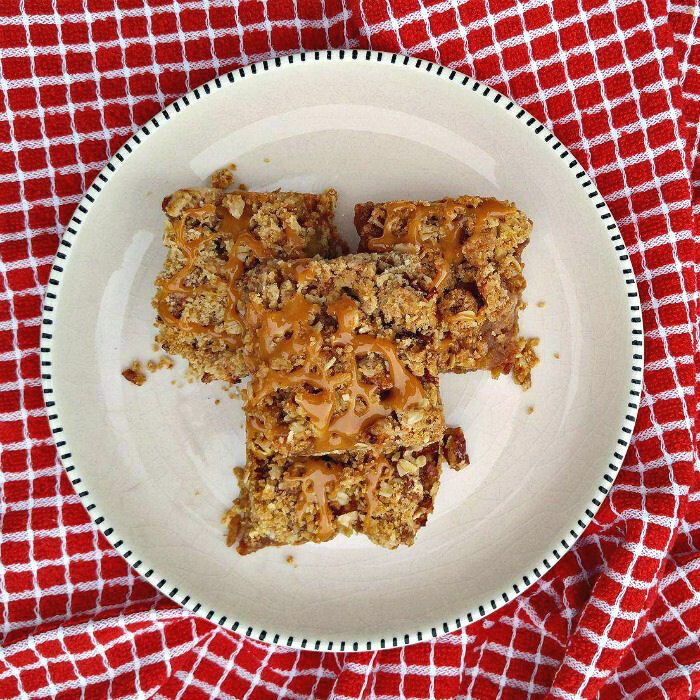 I decided to celebrate the day with this delicious apple oatmeal bar with a sweet caramel topping, The bars are easy-to-make, easy-to-eat and perfect for fall. For another great oatmeal bar recipe, try this idea for a bar made in the microwave in just minutes. I often make bar recipes for bake sales. They come together very quickly and take on the taste of whatever you decide to layer them with . Today, it is the flavors of a fall favorite – a caramel apple. Who doesn’t like to bite into a farm fresh apple coated in a caramel outer coating? 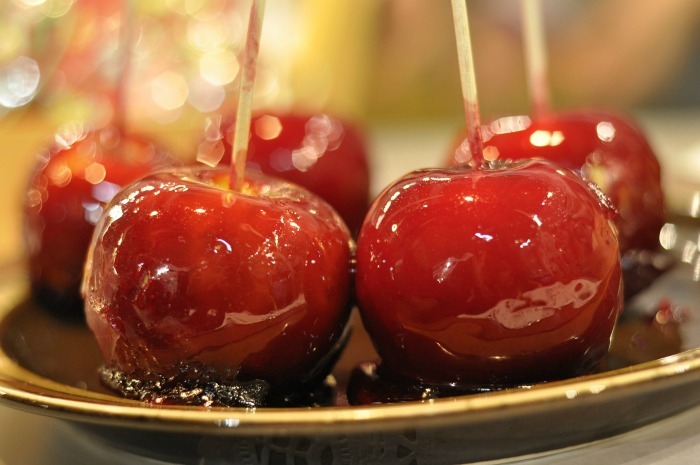 But caramel apples can be a time consuming dessert to make. We are getting the flavors today but in a much simpler dessert to put together. They have all of the flavors that you have come to expect from caramel apples – apple, caramel and nuts – as well as a few other goodies. Start by making a crumb crust that also doubles as the crumble topping. 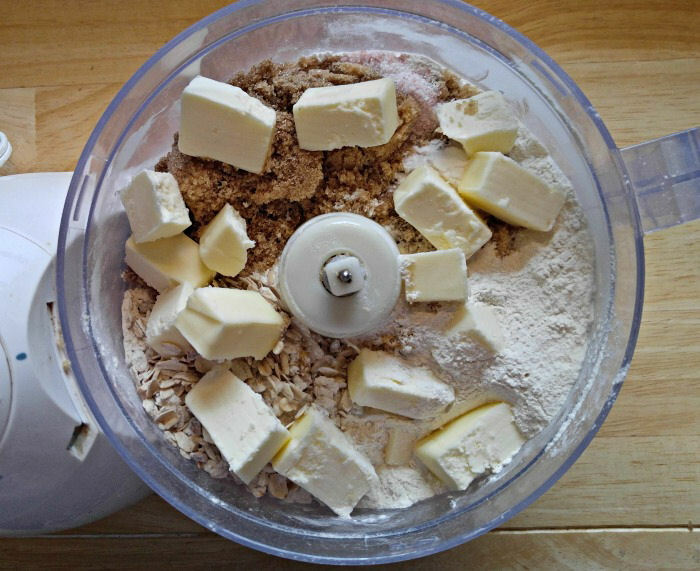 Just add dry ingredients to a food processor with the cubed butter and pulse away until you get a nice crumb like texture. You can also melt the butter and mix it with the dry ingredients in a bowl if you like. Half of this goes on the bottom of a prepared pan, and gets baked for a bit, just waiting for the delicious filling to be heaped on top. The apple layer has a nice seasoning mix of both cinnamon and nutmeg to give them some extra flavor and color. 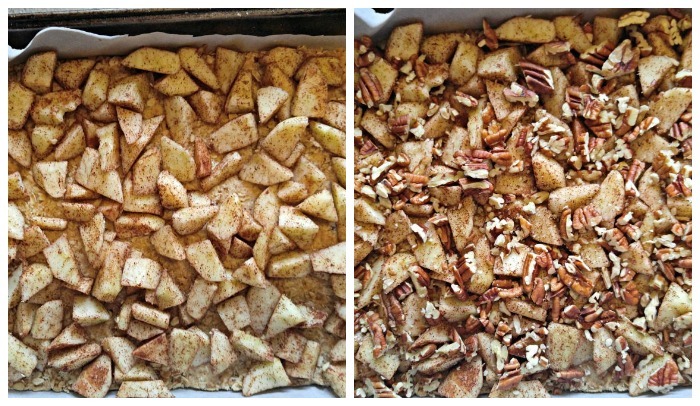 The seasoned apples go on first and then the pecans are sprinkled over the top. Heat the caramels with a little milk in the microwave until soft and smooth and drizzle this over the top. The final step is to add the rest of the oatmeal mixture to the top. Into the oven it all goes for about a half hour to cook. I fluffed the topping with a fork about half way through to release some of the caramel through the topping. My kitchen smells like fall right about now. I can’t wait to dig into these bars. 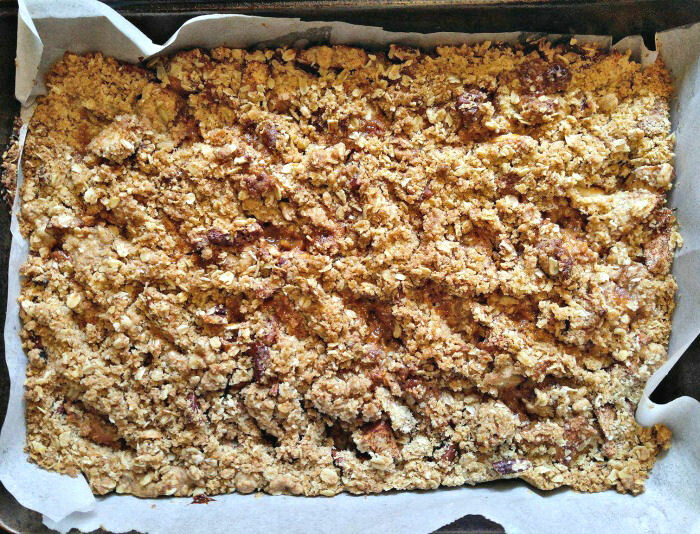 Ready for a taste of my Apple Oatmeal Bar? I added an extra drizzle of caramel sauce over the top of the crumble. It gives an extra richness to the bars and a nice presentation to the top. The taste of this apple oatmeal bar is delicious eaten warm, right out of the oven with a big scoop of ice cream, sort of as an apple crumble. But if you let them cool, they will set into more of a bar texture. Either way, you are in for a treat! The crumble and crust on these caramel apple bars is sweet, buttery and crispy and the cinnamon spiced apple filling, oozing with its delicious caramel topping, is just the right amount of sweetness. These Caramel Apple Bars have a delightful taste of fresh apples and pecans with a delightful caramel topping. With flavors like this, these bars are hard to resist! 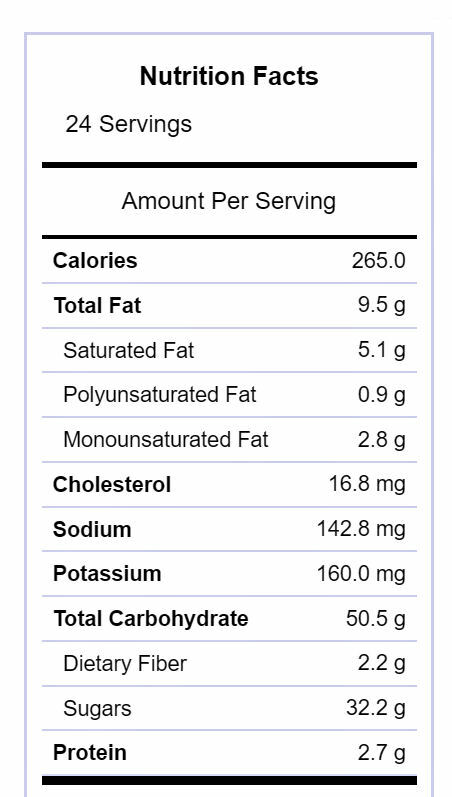 Each apple oatmeal bar has 265 calories. For another great apple caramel dessert, try these apple caramel cheesecake bars. 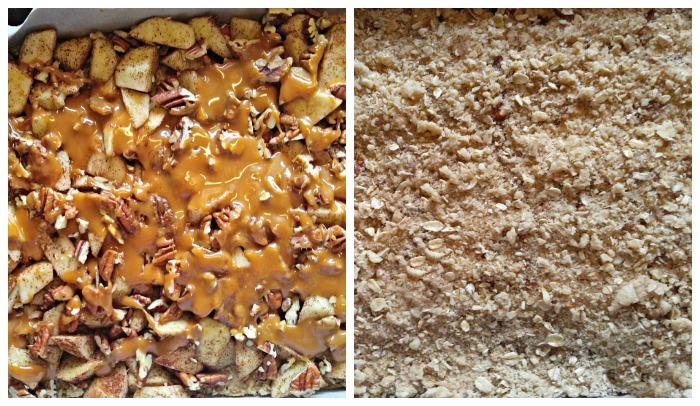 These caramel apple oatmeal bars are just full of the flavors of fall. They are easy to make and so tasty. Line a 9x13 baking pan with parchment and set aside. Press just over half of the oat mixture into the bottom of the prepared pan and bake for 8 minutes until lightly browned. Meanwhile, place the caramels and milk in a microwave-safe container and heat in 30 second intervals until the caramel is smooth and melted. Set aside. 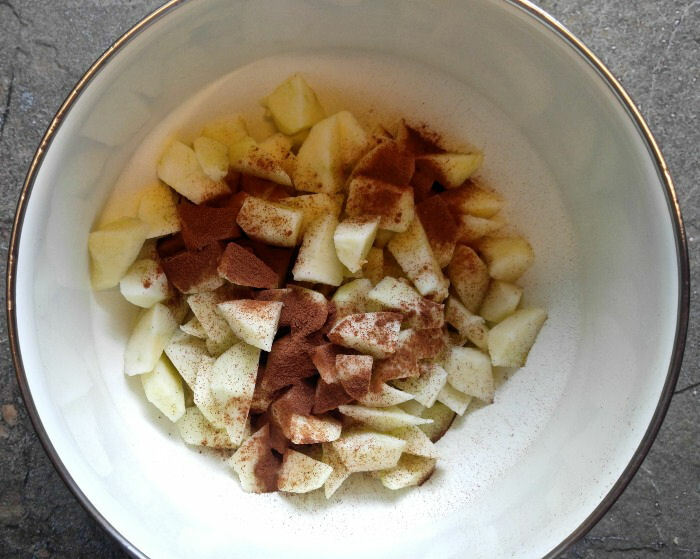 Combine the diced apples, cinnamon and nutmeg in a bowl. Remove the pan from the oven and place the seasoned apples and chopped nuts on the cooked base. Drizzle the caramel mixture over the top. 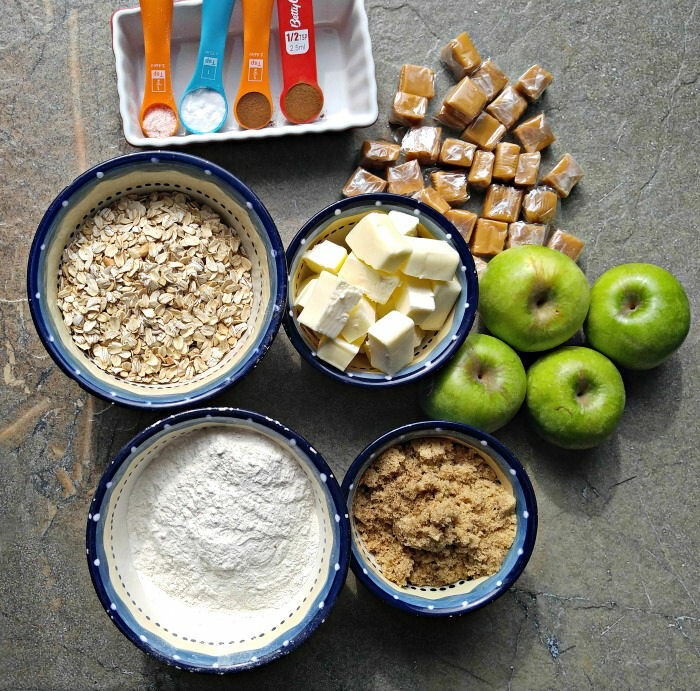 Crumble the remaining oat and flour mixture over the top of the apples and caramel and bake for an additional 20-22 minutes or until the top is lightly browned. Use store bought caramel topping to drizzle over the top of the bars for extra richness.